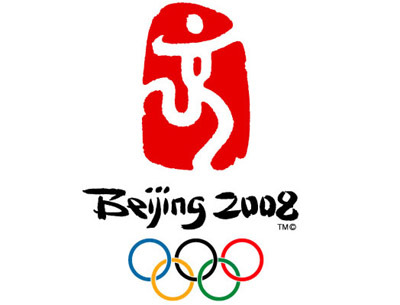 The Seven Network has stitched up a deal that will see SBS screen excess Olympic events for the 2008 Beijing games. Designed to be complementary broadcasts, SBS will focus on long form events, likely to be football, road cycling, volleyball, and table tennis – in other words, the low raters. Still it’s good that fans of these sports will have a free-to-air network showing the events they want. The Seven Network and SBS have signed an agreement to provide complementary coverage of the Games of the XXIX Olympiad to be held in Beijing in 2008. The television rights agreement will see the continuation of the partnership built during the Athens Olympic Games in 2004 with a primary Olympics broadcast on Seven and complementary coverage on SBS. Details of the landmark agreement were announced today by David Leckie, Chief Executive Officer, Seven Media Group, and CEO, Seven Network, and Shaun Brown, Managing Director of SBS. Under today’s agreement, Seven will have exclusive coverage of the Opening and Closing Ceremonies, track and field, swimming, rowing, cycling and gymnastics, and will also provide coverage of other sports featuring Australians. SBS will broadcast complementary coverage likely to be focused on long-form events such as football, road cycling, volleyball, and table tennis. Commenting on the deal, Mr Leckie said: “Today’s agreement makes business sense for Seven and significantly broadens the viewing for the greatest event in sports. Mr Brown said: “SBS continues to play a leading role in the provision of quality, free-to-air coverage of major sporting events in Australia. Today’s deal with the Seven Network further cements our commitment to the sports loving public of Australia that we will show important events free-to-air and, where possible, live. “SBS is particularly pleased that the deal involves continuing our commitment to football coverage and other specialised sports that Australians have a genuine interest in. The Olympic Games coverage on SBS will complement the Seven Network’s coverage of the Olympic Games providing complete, uninterrupted coverage of events – and in a timezone that significantly broadens opportunities for live coverage in Australia’s primetime. The production of the two Olympic channels – with primary coverage on Seven and complementary coverage on SBS – represents the single largest project undertaken on Australian television since the Games of the XXVII Olympiad in Sydney. Seven and SBS will jointly produce SBS’s coverage which will be hosted by SBS presenters.